Week 2 - What Does The Bible Say About... Jesus Christ? What Does The Bible Say About... Jesus Christ? Some people call Him a good teacher. Others call Him a prophet. Christians say He was God. Who's right? Find out during our discussion this week as we delve into some of the claims made by the Bible. 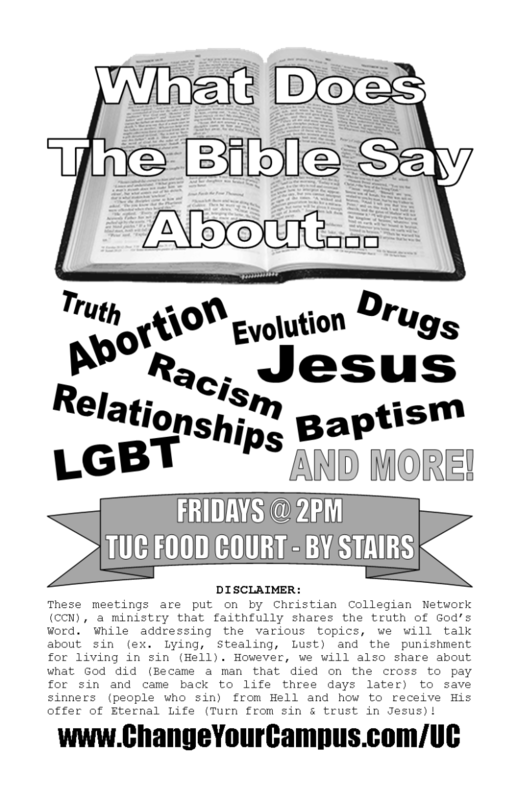 The conversation starts on Friday at 2pm in the TUC Food Court, near the stairs! We hope to see you there!